We have several services that match the needs of the home owner who wants to rent the property. If all you need is a lease mediation service, we will look for the most reliable tenant, the one who provides higher assurance, and we will deal with all the contractual aspects of the lease. For our clients assurance, in each new lease we always require surety or bank guarantee, declaration of effectiveness, security deposit, receipts of ordinance and IRS declaration. L. Ribeiro - Property Management, Unip. 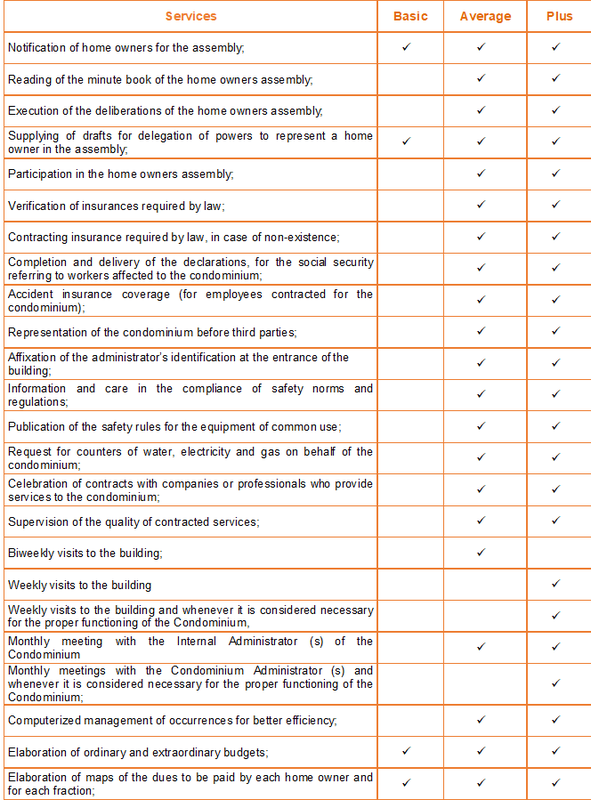 Lda has several service plans to match the needs and the characteristics of your property. Have a professional management of your property for a small monthly value. Budgets are free! In this option, L. Ribeiro - Property Management, Unip. Lda performs all the functions and obligations of the home owners through a Service Agreement and Proxy to be issued for this purpose. Registrations and requests for certificates. In this option, L. Ribeiro - Property Management, Unip. Lda performs only tasks needed by the home owner, for example issuing and sending rent receipts, being present at a Condominium Assembly in your representation or the completion and delivery of an IRS Declaration. Get 3 months for free! If in the course of the contract, customers who seek out on their own new contracts for L. Ribeiro - Property Management, Unip. Lda, will benefit from a three (3) month administration exemption for one of their fractions.